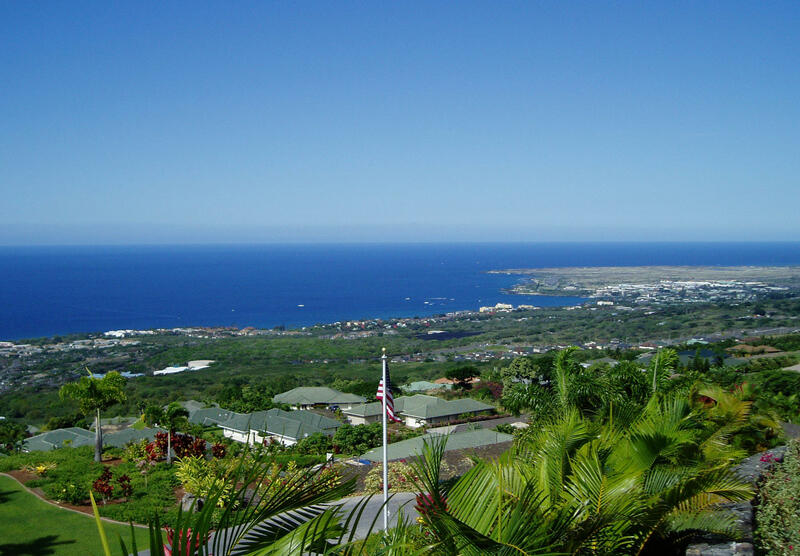 Kona Bay, Hawaii from Mauka. Near Holualoa. Some Big Island residents are asking how they will be able to afford sewer systems connections after large-capacity cesspools are shut down. The Hawaii Tribune-Herald reports Hawaii County is planning to build wastewater treatment plants in Naalehu by 2022 and Pahala by 2021 to meet Environmental Protection Agency requirements. People who live along the path of the new sewer lines will be required to connect and pay for the expense. Officials say the cost could be between $10,000 and $20,000 for each property. County environmental management director Bill Kucharski says the county is examining ways to "help mitigate or remove the costs of connections." The state Legislature is also considering a measure that would call for a low-interest loan program for converting to septic tanks or connecting to sewers.